Ah, the ice cream truck, which is definitely an object that brings back good memories of one’s youth. 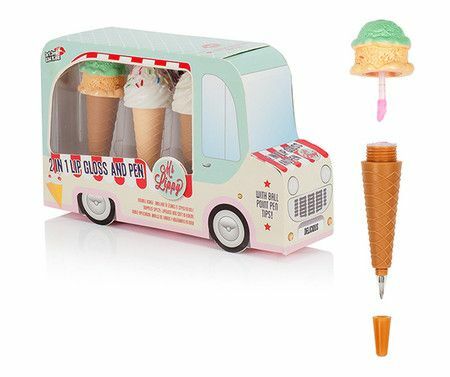 After all, playful summer moments that are punctuated by the ice cream truck’s bell is always a positive moment, so why not relive those moments through this quirky $14.99 Ice Cream Truck Lip Gloss + Pen Set? Of course, as its name suggests, this is no truck that carries ice cream, but rather, it is an awesome set that boasts of three funky and functional double ended ice creams, where there is one part lip gloss, and one part ball point pen.